djmikemorse: Today a Daddy became a Hero. Not only was this Rhyton’s very first concert, but she had the privilege to meet the most sincere, humble, and compassionate human being on the planet. Oh yeah, she also happens to be the most talented person on earth too! 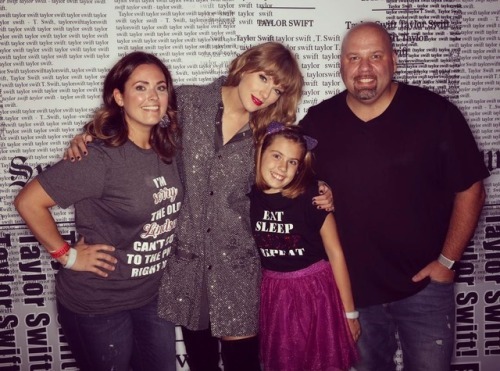 Thank you @taylorswift @frank.bell.9231 and @treepaine for making dreams come true!